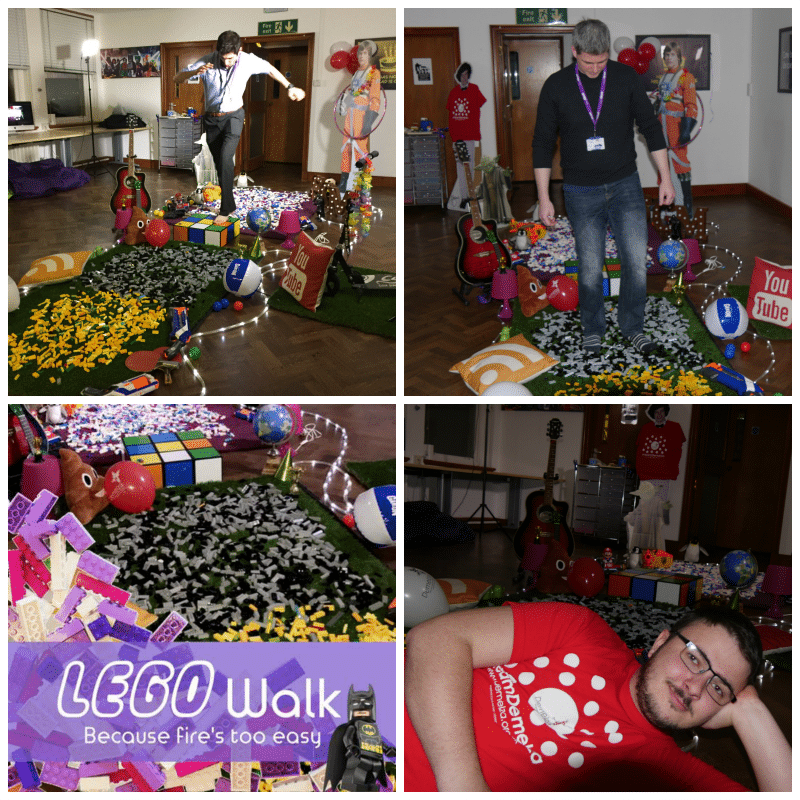 Nearly a year ago, our Giants conquered the ultimate hot feat last year with a charity firewalk, but now itâ’s a whole other level: walking on Lego barefoot! Now that the Lego Batman movie is out, last night our Giants and friends put themselves to the ultimate Batman challenge: the Lego Walk of fame. We faced our fears and walked (note: internally cried) our way across our weird and wonderful Lego catwalk all in aid of Demelza Hospice. We had both some familiar and new faces step up to Lego mark, with some interesting catwalk techniques (someone even hopped their way across! ), and had a super fun evening raising money for an amazing cause. Demelza were established in 1988 and are a local charity who give hospice care for children with life threatening or terminal illnesses. So any money raised will help in giving young ill children the care need, as well as support for their families. It’s not too late to donate, simply text 70070 with LEGO64 and the amount you’d like to donate! Update: we raised £285.49 from the Lego Walk for Demelza Hospice! Thanks to everyone who donated!